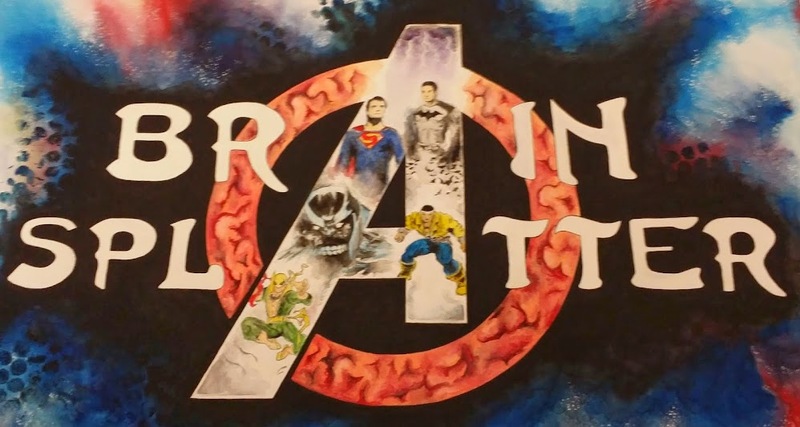 Comic Book Brain Splatter: What's your Meyers-Briggs Marvel Personality Type? What's your Meyers-Briggs Marvel Personality Type? First, answer these four questions which are from the Meyers-Briggs Type Indicator test, and select the letter that applies. You'll have a four letter code when you're done. Mine, for example, was ENTJ. 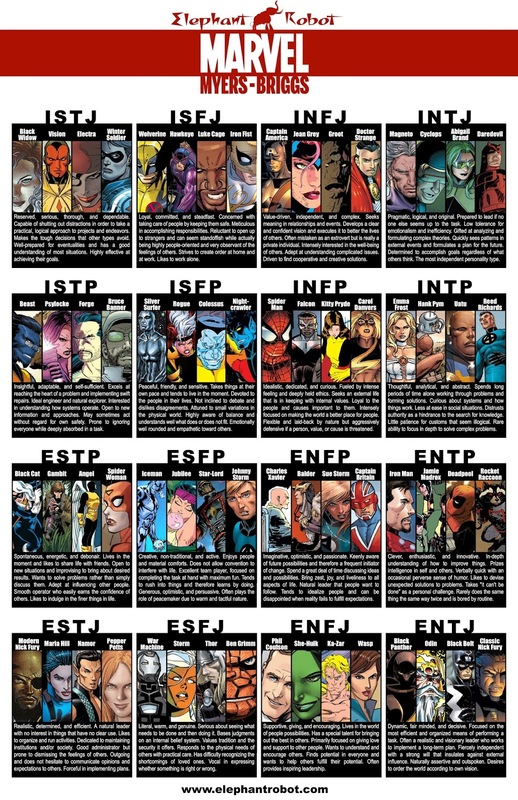 Next, simply compare your type to the picture below and figure out just which group of Marvel characters share personality traits with you! If the picture below is too small, head over HERE for the bigger, original version.